The history of the Foundation is tied to the history of David and Mary Martin. Their lives have been surrounded by art, architecture, and design; actively pursuing innovation with a passion. MADWORKSHOP’s journey began in 2005 when David Martin was approached to teach a furniture design studio at the USC School of Architecture. The hands-on fabrication class resonated with students and connected with a greater trend in the study of design. The class is now a university staple and regularly taught by board member R. Scott Mitchell and Program Coordinator John Uniack. David and Mary Martin’s love for education and innovation intersected when they decided to challenge students to think bigger. 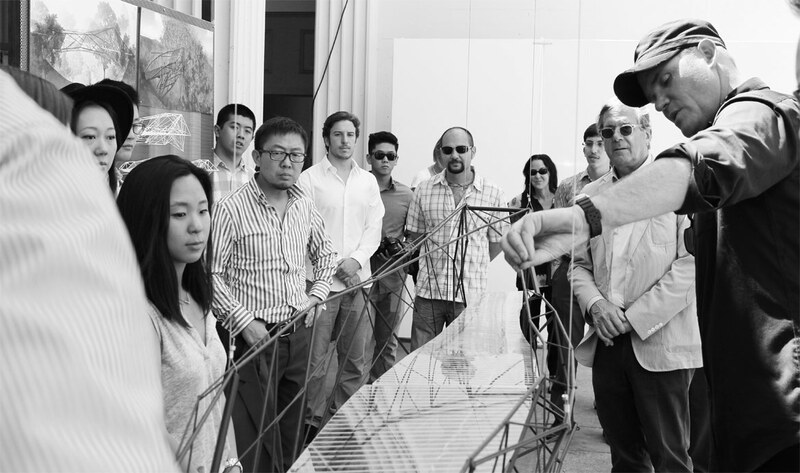 In 2013, the Martin’s personally sponsored a class at the USC School of Architecture taught by R. Scott Mitchell. 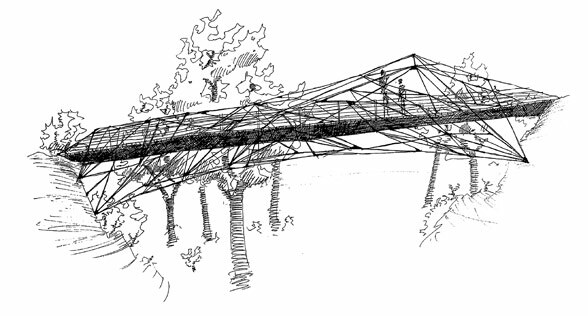 The course challened students to design a site-specific pedestrian bridge. 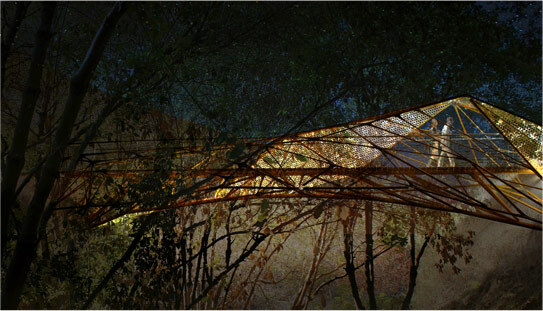 The bridge needed to sit below the existing tree line and blend in with the surroundings. The bridge also needed to integrate into a larger landscaping plan that would span a 75’ arroyo and take advantage of new open spaces and views.The resulting bridge design is now its final stages of development and will be completed in 2017. The success of this University collaboration inspired the Martin’s to found the Martin Architecture and Design Workshop (MADWORKSHOP) in 2015. Over the last few years, the foundation has grown significantly. MADWORKSHOP has supported over a dozen fellows as they bring their ideas from concept to reality. 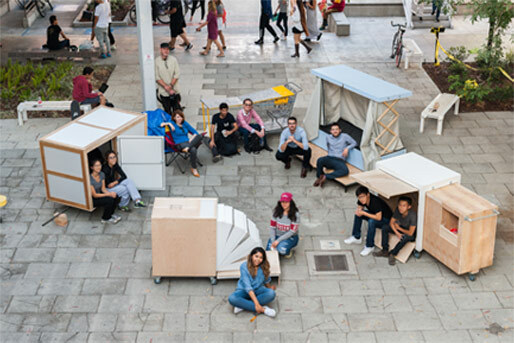 The foundation has also sponsored the USC MADWORKHOP Homeless Studio as well as the Re-Defining Public Furniture & Fixtures Design course at Art Center which produced the permanent seating installation, Sanke, at the Museum of Contemporary Art in downtown Los Angeles. MADWORKSHOP remains commited to inspiring craftsmanship, technology and innovation in the next generation of designers.